The Samsung LN-S3251D is a much more attractive television than the company's LN-R328W set that we tested before it. The two models have similar features, with mostly comparable connections. However, the LN-S3251D received a better rating thanks to its very high image quality scores and slightly more adjustability to its cabinet. In our image-quality tests, the $1799 (on 3/24/06) LN-S3251D easily topped other recently tested LCD TVs. The LN-R328W, which we included in this batch as our reference model, came in a distant second overall. The newer unit made a big impression with its very bright screen, which contributed to its large margin of victory in our bright-lights test. But it also scored substantially higher than the other sets we looked at in our high-definition, standard-definition, and DVD tests. When tested, The LN-S3251D earned PC World's top rating for color quality, with a score that was 10 points higher than that of its closest competitor. As for sound, its speakers have adequate clarity, but bass frequencies lacked presence. 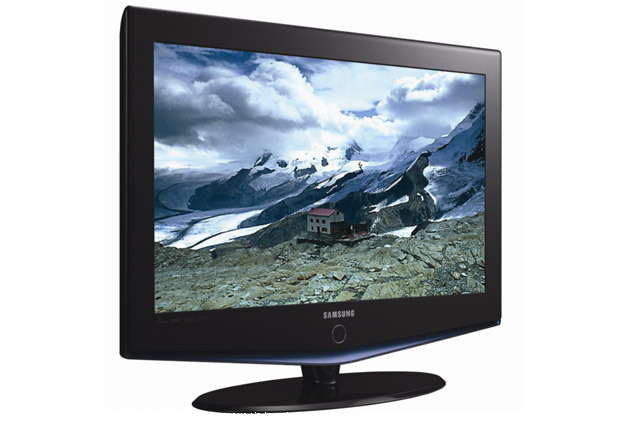 The cosmetic difference between the two Samsungs is dramatic: The LN-S3251D has a beautiful, shiny-black cabinet, which swivels nicely on its base. The LN-R328W has a drab gray cabinet, and it doesn't allow any adjustments whatsoever. The LN-S3251D has a long, thin, attractive remote control--the buttons aren't illuminated, but they have white lettering that helps you see what you're pushing. You can even press a button to freeze a live image. Some of the buttons at the bottom--mostly for picture-in-picture--are too tiny, though. The LN-S3251D has two HDMI inputs (the LN-R328W has only one), one set of component ports, and two S-Video inputs (one on the side, for showing camcorder footage). But it does not have a CableCard slot, so you'll have to use a set-top box for cable or satellite sources. The LN-S3251D will let you control an iPod (with an optional interface), but Samsung didn't provide an iPod connection kit, so we couldn't try out this feature. One annoyance: You can use picture-in-picture to juxtapose one HDMI input and one analog input, but you cannot do that with two HDMI sources. Samsung says that it's a technical limitation, and that it does not foresee people alternating between two HDMI sources. The menu system on the LN-S3251D is much more attractive and useful than that of its predecessor. You can adjust the opacity of the menus so you can see the picture you're trying to adjust (but unfortunately, you can't make them totally transparent, as you can on Dell's W3201C). A graphic equalizer function lets you fine-tune the audio. Also, tooltips in the menus explain what settings do. Upshot: The Samsung LN-S3251D is slightly more expensive than the company's LN-328W, but the premium gets you better image quality, a second HDMI port, and some adjustability. It'd be even more appealing with a CableCard slot, though.